"Sure I'll tell you about that, but first, where did you hear that?" "One of the fifth graders called me a lesbian." "Gotcha, okay . . . "
It was a long conversation. He took it very seriously. He even raised his hand when he needed to interject (that's the second time he's had that mom/teacher cognitive dissonance, not sure what to make of that). He doesn't like people being mean, but ended up concluding this bully was not much to worry about. Prejudice he worries about. I was proud of him. I have no confidence life will get any simpler any time soon. Thank god for knitting, even if it is too slow moving to provide camera fodder. 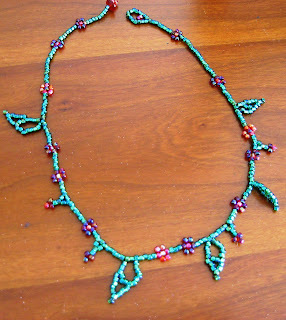 It would go faster if I would stop doing 3 projects all at the same time but here's a photo of Ivy and Roses. It's the only interesting thing to take pictures of at the moment. October and Kinsale are both coming along too, but slow . . . 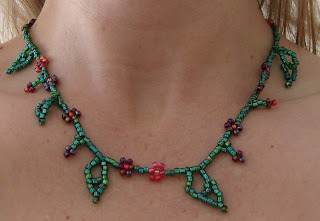 I love the colors (maybe not on me, so I may give it away) and I really like this neckline. 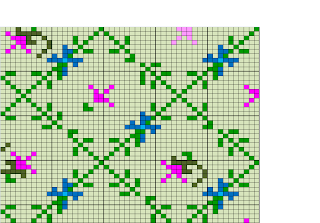 That leaf pattern works well both direction. I'm just making this one up as I go. Moss agate with green and purple size 6 beads. 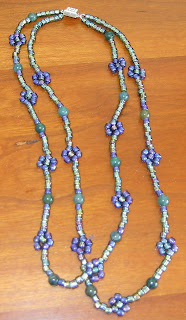 I'm not sure I'm happy with the length of the second strand, they hang together pretty closely. So, you know what I in the face of my new knitting project embargo? I won on a technicality. Made jewelry instead. Which is harder than it sounds with Indy around. 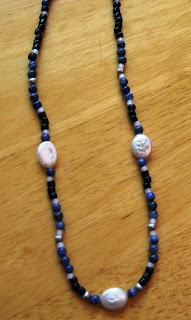 The necklace is more me, sodalite, pearls, sterling and glass beads. 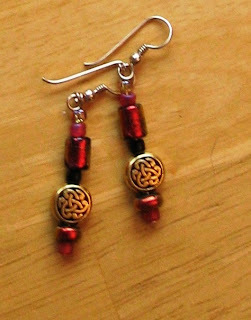 The earrings are gold plate, glass beads and dichrioic(bi-color) glass. 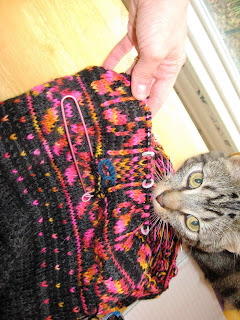 The sweater with cat face below is the next project in my sights to get finished with. Wish me luck! Maybe I'm a shark, you know, something that dies if it stops moving forward.I have these projects in progress and I feel like I've wandered into a cocktail party full of people I don't like much and find rather boring. Seriously, this must be some kind of nameable condition, this storming thing I do. 1.) Use some of that leftover Cotlin to make small shoulder bags lined with something fun, maybe use heavyweight interface for a structural part dividing compartments? 2.) A coworker has been working on these childrens' dresses with knit tops and fabric skirts. Maybe with some very lightweight fabric, silk or rayon or even cotton, for an adult? Well, the little one was acting like a real pre-teen tonight re: listening skills and not acting like a dolt. So I guess these are all more like "the ugly". But it's hard to imagine Clint Eastwood doing a movie called The Good, the Bad and the Dorky. But as for knitting - it's a great pattern - to use Cotlin I just added one stitch for every 20 and the gauge worked out just fine. I'd recommending doing this for any kids you have 8 and under. Since we live in the South, this won't fit by the time it's cold again. Like I've said, I think this is a nice way to attach arms, esp. if you're working with cotton or a cotton blend that seems prone to pulling or sagging and so not looking nice on your finished product. First, don't bind off your sleeves, even for the shaping at the edges. Do this more like short rows, or as you "finish" with the stitches you're supposed to bind off, just place them on a holder of some kind (scrap yarn, safety pins, etc.). When your sleeve is done, place all stitches back on the needle. Next, pick up the stitches along the body where you want to attach the sleeve. One helpful tip is to NOT use the very last stitches, skip over those and pick up outer edge of the second edgemost stitich (I've marked it here with the head of the crochet hook). This will give you a more stable and much nicer looking seam. You can see this in the second picture where I'm binding the two edges together and you can see the edgemost stitches make a selvage. Second helpful tip is to pick up one half at a time, join that and then pick up the other half - that is start from the should seam and pick up down to the armpit. 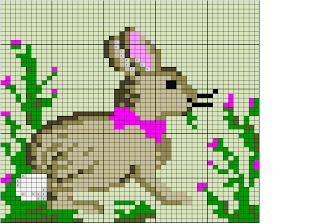 Doing this will make it easier to pick up the right number of stitches at the best (most even) ratio. Obviously, using circular needles for this works best. 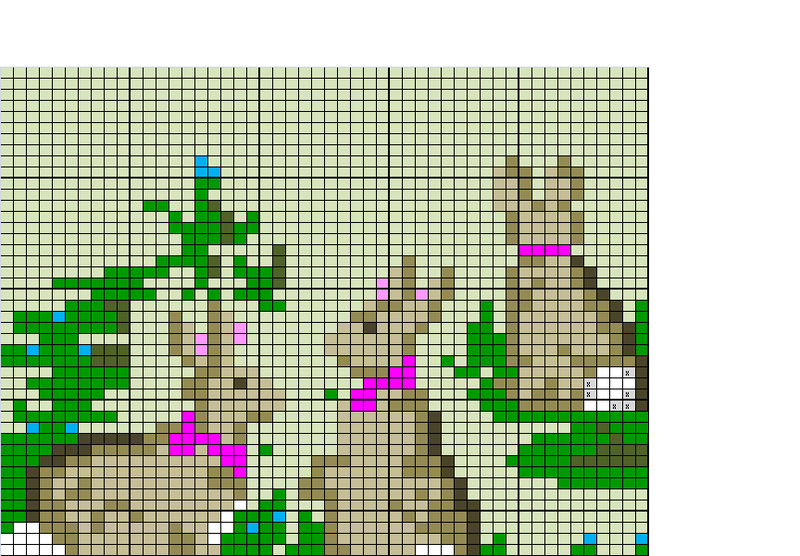 When I pick up for a perpendicular join I find that picking up 3 of every 4 rows usually gets me within a stitch or two of the right number and keeps the distribution of stitches from one piece to rows of the other piece correct. You can see this in the third picture. Next you hold the two pieces of work right sides facing and just knit them off together - a 3 needle bind off. I use a crochet hook to do this. See the second picture again for an action shot. The final picture is of the finished joined seam. I'll take some more pictures of the finished piece and post them tonight. I have made a promise to myself that if I can finish some (I'll say 3) of my current things on needles I can start one of the other things I have waiting for me in the "walk in closet of temptation". I finished the back of the eponymous October and have started the front and I'm a couple rows short of finishing the sleeves on Rolfe. It's funny, I start these plain, straight stitch projects thinking that they'll be so easy and I'll blow through them while doing other things . . . but then I get bored of them and they languish on the needles. Too much straight stitch makes my fingers tired. I'm going to knit on the Rolfe sleeves, which means my last few rows where the set in shaping is done aren't cast off, more like wierd short rows. I'll take some pictures of the attachment process, as I'd highly recommend it for those who don't like gap-y joins of sweater pieces and fear heaviness and pull on cotton knitwear (which this is). I'm sad it's going to be too small for him, it's a lovely pattern. He wants me to do it over in a larger size for next winter in orange and black. I'm planning to stall and see if he doesn't tone that down in the next 6 months or so. And finally - my spouse was listening to NPR during the Friday commute (I wasn't, I was listening to the warm and fuzzy biography Nixonland) and he came home and downloaded Here comes science. If you're like me (I will leave it to your individual judgment if you think that would be a good or a bad thing) something that brings together science, one's kids and They Might Be Giants is quite the happy mash-up. My favorite so far, "How many planets?". Man, I was so fond of Pluto . . . . Flash on, flash off, you get a slightly more developed sense of the colors with the flash off. Because, dang it, I'm going to wrap some of these bad boys up. 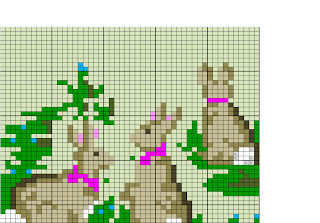 Need to actually work the prototype before I can publish this pattern though it's basically done.